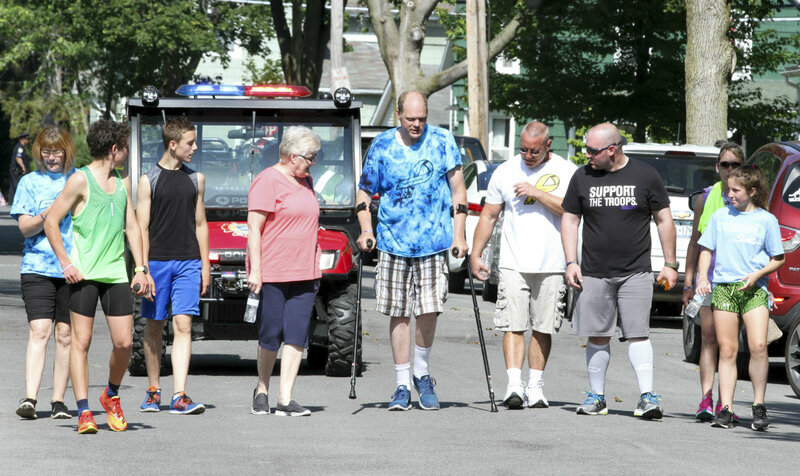 Newark Resident David Murphy is seen walking the Laurel 5k race held in Newark recently. Murphy who suffered a severe back injury and numerous other fractures participated in the fundraiser for Laurel House a hospice home being built in Newark. Nearly 220 runners and walkers were on hand for the event.